A REALLY WEIRD SOLAR ECLIPSE: Earlier today, NASA's Solar Dynamics Observatory (SDO) observed an eclipse of the sun--a strange kind of eclipse that you can only see while orbiting Earth. The black disk of the New Moon passed in front of the sun, reversed course, and did it again!! 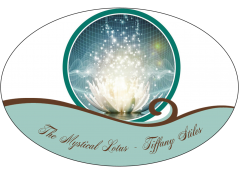 During the eclipse, which lasted just over … Continue reading Energy Shift Update by Tiffany Stiles~ Pause & Reset!